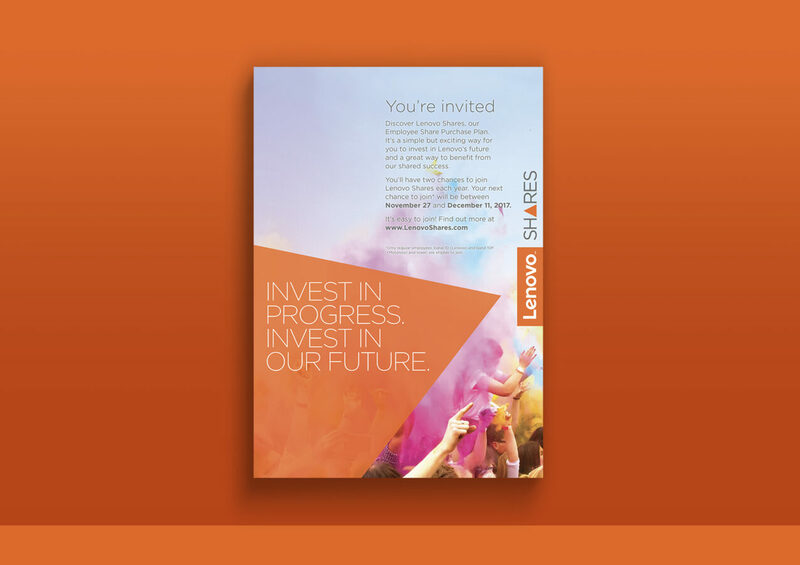 In 2016 we worked with Lenovo to launch their new share plan, Lenovo Shares, to 25,000 employees across 35 countries. Together, we hit Lenovo’s target with a take up of 20% and over 5,000 employees around the world deciding to invest. To ensure employees continued to engage with Lenovo Shares and feel positive about either being part of the plan or inspired to sign up if they weren’t. 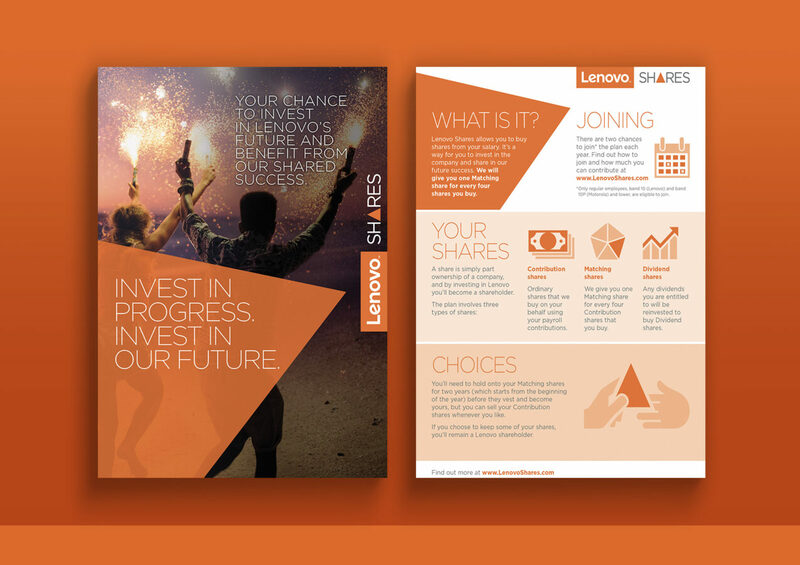 We worked with Lenovo to update and refresh their employee share scheme communications. 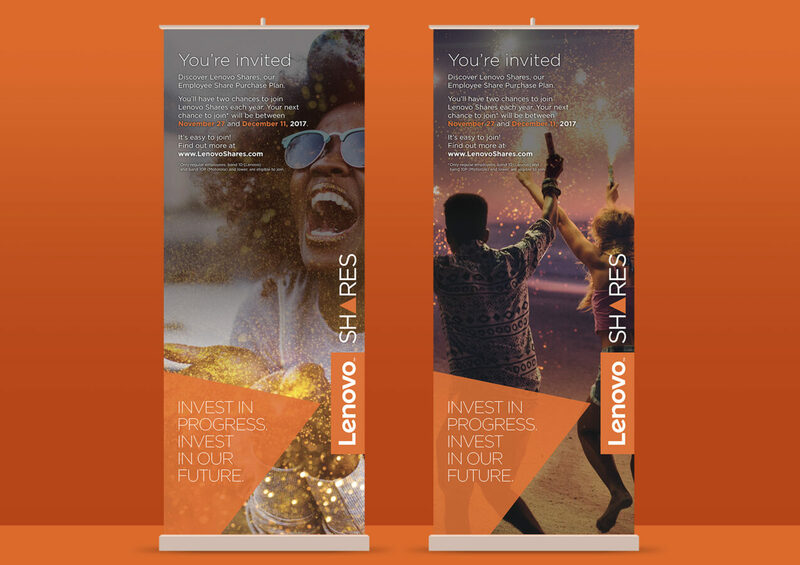 We also created new communications for Lenovo’s workforce based in China, where a push for engagement was needed. We updated and refreshed all communication assets we created for the launch in 2016 by removing any ‘launch’ and ‘brand new’ terminology and dates. We also created a new strapline in line with Lenovo’s new brand guidelines, ‘Invest In Progress. Invest In Our Future’ which was applied to all communication assets. We also updated selected print and digital assets to include a fun and dynamic powder paint image from Lenovo’s new brand guidelines. With a large amount of employees based in China, including their headquarters in Beijing, we identified an opportunity to engage with a large portion of Lenovo’s workforce using a focused and appealing communications strategy. Using feedback from Lenovo Beijing and findings on popular communication techniques used in Asia, we decided to create a Lenovo Shares branded social media booth for the campus in Beijing. This included a Lenovo Shares branded backdrop and the creation of a unique set of photo props, which incorporated the Lenovo Shares design concept we had previously established, employee share schemes related imagery and fun graphics that encouraged photo booth participation, such as sunglasses, hats, moustaches and speech bubbles. In addition to this, we designed shuttle seat bus covers for the busy shuttle bus service used on the Beijing campus, which provided optimum exposure time for Lenovo employees to engage with and learn about Lenovo shares. We also updated China’s animation, seamlessly incorporating key words into the animation and also adding subtitles. The Results: After the 2018 enrolment period, participation increased to 22%. We had fantastic feedback from the Beijing headquarters, with over a 100 participants taking part in the social media booth, providing important time for share plan colleagues to chat to employees about the plan whist they were engaged and having fun. The icing on the cake? 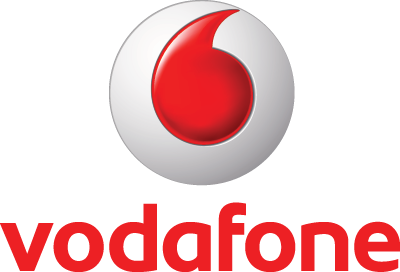 The campaign won the award for Best Plan Communications at the Global Equity Organization Awards in April 2018. The judges said that the ‘appealing and well-designed communication materials and thoughtfully executed plan ensured that employees participating in emerging countries were equally supported and communicated to as effectively as employees in their China and USA head offices’. High praise indeed! Thank you for your great idea of designing the backdrops and social props. It worked out very well! The shuttle bus seat covers were also very impressive.